Does It Matter How Much Money I Make If I Want To File For Bankruptcy? Yes, it does. In fact, the threshold question as to which chapter of bankruptcy you can file very often comes down to what your household income is. That’s why it is so important to disclose to the court all sources of income in the six months preceding the filing of a Missouri bankruptcy. So let me give you a real world example: Let’s say you are a household of four (yourself, spouse, and two children). According to the federal government, the average (or median) income for a household of four is: $69,832.00. In other words, the government’s statistics show that a household of this size should bring in on average this amount of income. If the total household income (from your employment, your spouse’s employment, child support, unemployment benefits, food stamps; literally, from all sources) is less than $69,832, then you will generally qualify for a St. Louis Chapter 7 bankruptcy. A Chapter 7 bankruptcy is a situation in which all unsecured debts (like credit cards, medical bills, payday loans, etc.) are discharged. If your household income is substantially higher than $69,832.00, than it may involve a situation in which a St. Louis Chapter 13 would be filed. A Chapter 13 is described as a repayment plan over the course of three to five years. Depending on your particular set of circumstances, a Missouri Chapter 13 can be enormously beneficial. It provides an opportunity to get caught up on things like mortgage arrears, tax debt, and delinquent child support; there is an opportunity to pay off your car with a much lower interest than you’re currently stuck with; and there is still a chance to get your unsecured debt discharged. As you can see, which chapter of bankruptcy you file is going to depend a lot on how many people are in your household. 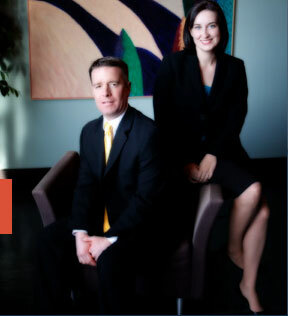 The St. Louis bankruptcy attorneys at Brinkman & Alter, LLC are prepared to guide you through the entire process, and get you the fresh start / clean slate you deserve.